Brian Russart, Parks Natural Areas Coordinator and his crew have been very busy creating hiking trails in a number of the Park Departments Natural Areas and have maps that may be of assistance when planning a day trip. 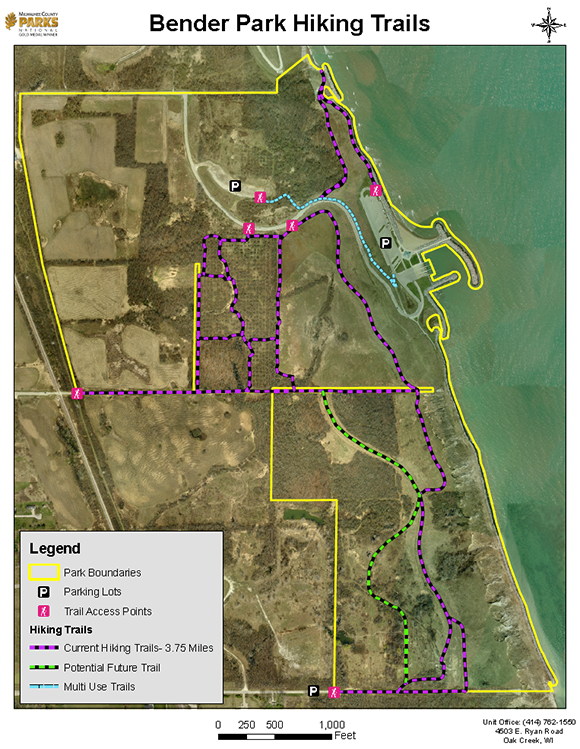 As of this writing, over 40 miles of sustainable hiking trails traverse the natural areas within Milwaukee County. 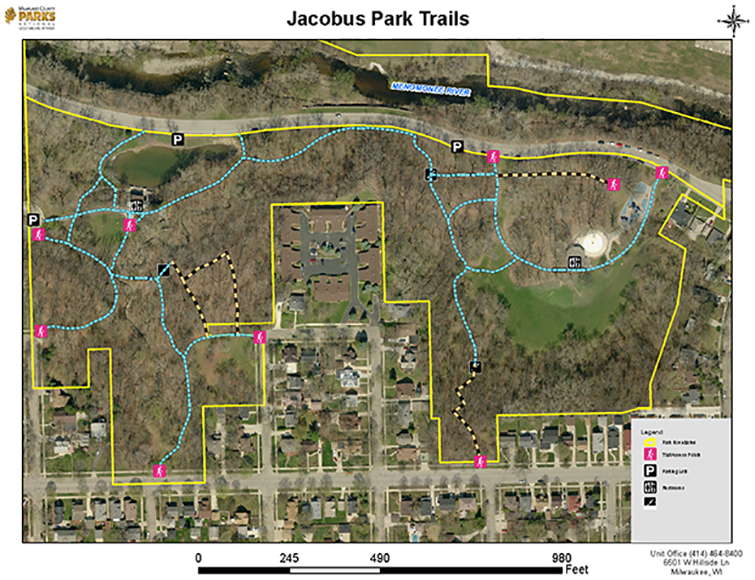 To purchase a complete map of Milwaukee County Trails Map. Purchase of this map supports the Park People and its trails. Below is a listing of parks and parkways where you and the family can hike and take in the spectacle of nature in our urbanized environment. 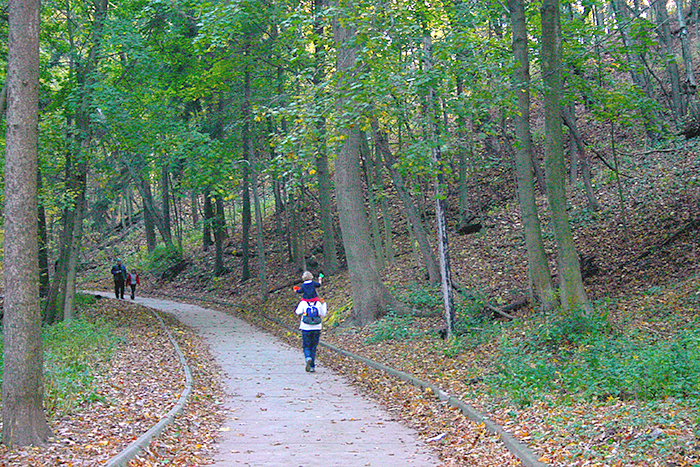 Many of these parks natural areas have walking trails that wind through the woods. We have provided the links below of hiking maps in pdf format for you. Take a look and download a map or two for a planned hike this spring or summer.